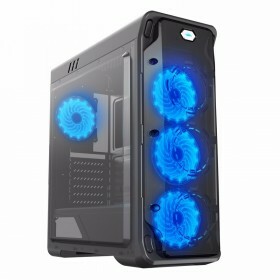 Thermaltake Core V21 Technology Direct. Online Computer Superstore. As the latest addition to the Core V Series, the new Thermaltake Core V21 sports a quadrate micro M-ATX-based chassis that offers an endless stackable and flexible thermal solution. 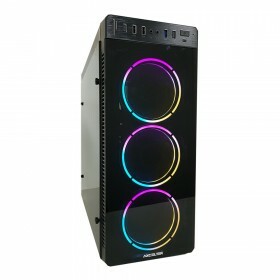 It allows externally-modular upgrades for enthusiasts to create dual systems. Designed for use in either a vertical or horizontal orientation on the motherboard, users can customize the chassis for the best viewing presentation. A 200mm fan on the front panel ensures that the Core V21 delivers outstanding cooling performance with compatibility for extensive DIY/AIO LCS, further enhancing the reputation that the air cooling units of the series has become renowned for. Guaranteed to be an immensely powerful system, the Core V21 also has the ability to accommodate various overclocking components to boost performance even further where it counts!